I finished my manuscript, and the joy of a little free time is making me giddy! But even though I’ve given myself a full week off, there still aren’t enough hours in the day to read everything on my list and in my stacks. I have books due back at the library any minute. I have new ones, bought with my Mother’s Day gift certificates, gleaming at me from their pile on the desk. I have an Amazon wish list about eight pages long. 😉 Seriously. So what do I do? I pick up a book I’ve read maybe half a dozen times before. 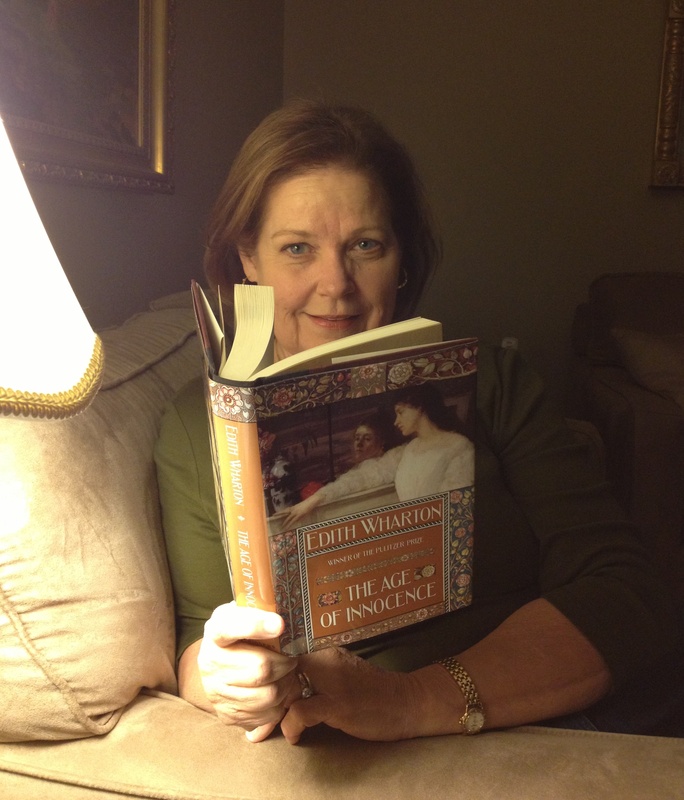 Edith Wharton’s THE AGE OF INNOCENCE is so sad, so beautifully written, so fascinating in its exploration of how savage social expectations can be, that I never, ever tire of it! The new books will have to wait a little longer. In fact, I have two writers I re-read frequently. 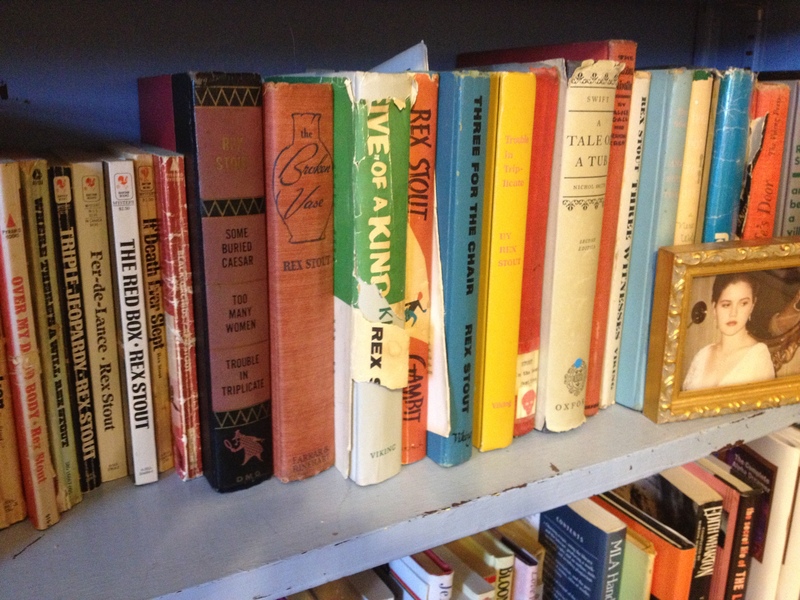 Rex Stout, who wrote the Nero Wolfe mysteries, is the author I choose if I’m unhappy, or lonely, or worried. Archie Goodwin and Nero Wolfe are the greatest of all buddy teams, and together there’s nothing they can’t handle. They always inspire me to believe I can handle my problems, too. Guess that’s why I have a whole shelf of extremely well worn Stout books. How about you? 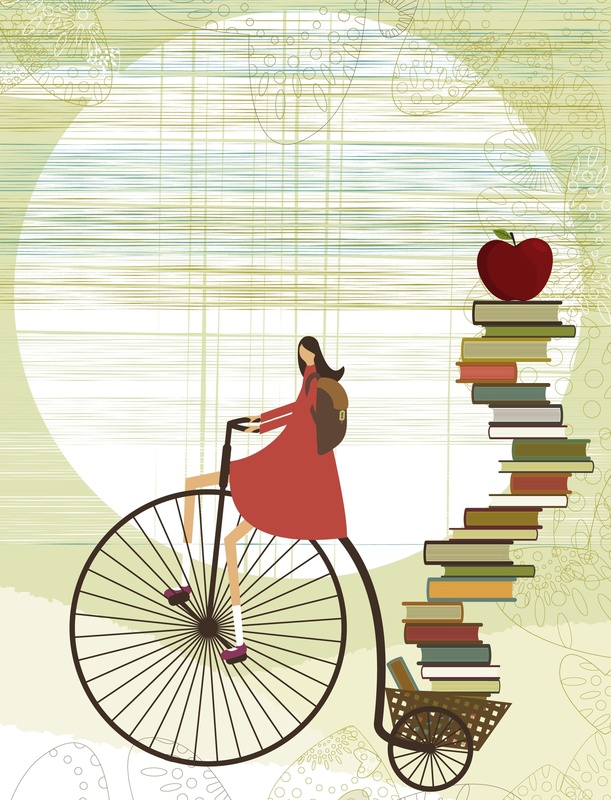 Are you always moving forward, conquering new books, checking them off your to-be-read lists? Or do you sometimes snuggle up with an old favorite, preferring to spend time with old (character) friends? Today is the official Day of Joy recognized by every writer on the face of the earth, I would be willing to bet. Today is the day after I finally submitted my overdue manuscript. My book is complete. (Until my brilliant editor finds the goof-ups and guides me toward revisions that will make it GOOD book!). But that first day of freedom, after weeks and weeks, sometimes months and months, of enslavement, is always strange. I come creeping out of my deadline cave, hunched and blinking at the daylight, asking everyone, “What year is it?” And then, just when I thought I would run skipping all over my world, screaming, “FREEDOM! BRING ON THE FUN!” I am oddly paralyzed. I’ve forgotten how to do anything but write. I’ve lost the knack of feeling anything but guilty, pressed and terrified that my words won’t be good enough. That’s when a quiet day of reading can provide the perfect bridge. The quiet place between deadline Hell and (temporary) freedom Heaven. 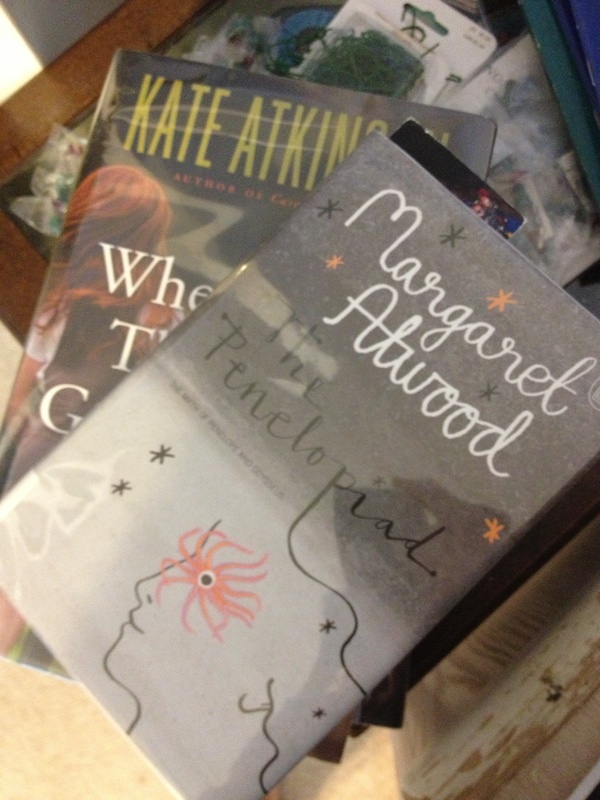 THE PENELOPIAD, by Margaret Atwood. This one will probably win, because it’s a very cool retelling of the Penelope/Odysseus myth, only this time from Penelope’s POV. I’ve begun it…and Penelope is such a wry, honest voice that I don’t see how I can switch to something else till I’ve heard what she has to say. Plus, this is a library book, and it’s due soon. 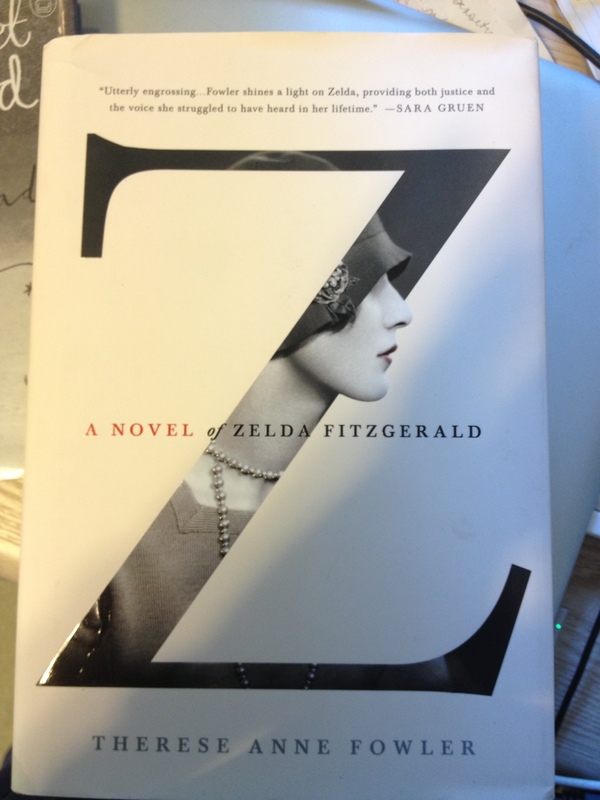 Z: A NOVEL OF ZELDA FITZGERALD, by Therese Anne Fowler. No, wait! This one might win, because I just saw THE GREAT GATSBY, and it put me in the mood! I loved the Luhrmann version of Gatsby, though I have some great friends who disagree with me…almost violently! 🙂 If you saw it, I’d love to hear what you thought! 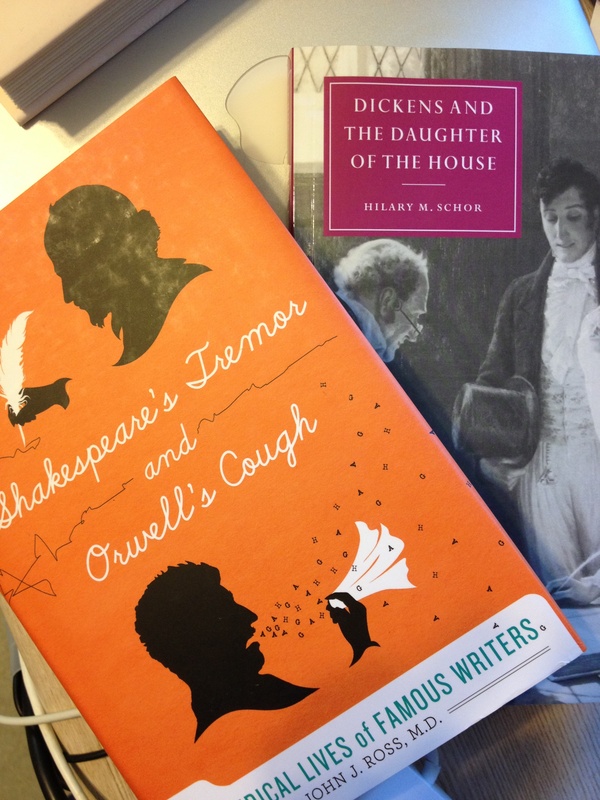 SHAKESPEARE’S TREMOR AND ORWELL’S COUGH, The Medical Lives of Famous Writers, by John J. Ross, M.D. This is one I can pick at, a chapter at a time, so it’ll probably just wander around with me for a few weeks, filling in odd moments. But doesn’t it sound cool? It explores the “medical mysteries” of some famous and fascinating writers. 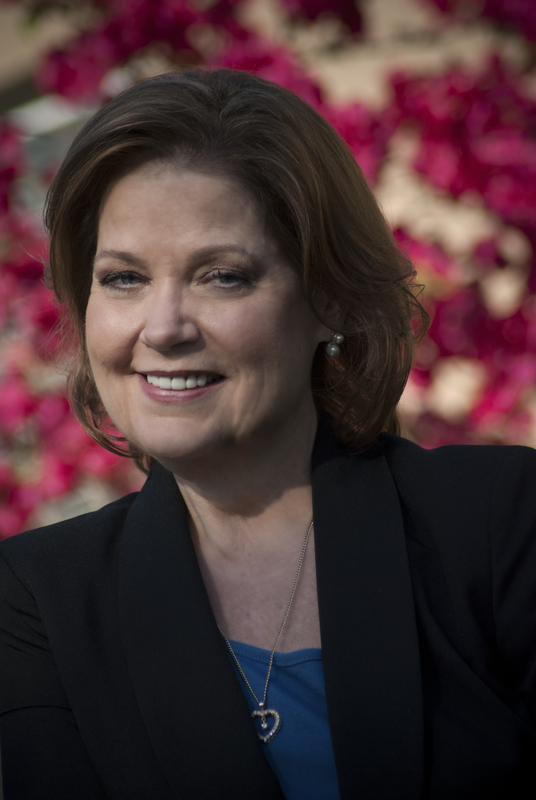 DICKENS AND THE DAUGHTER OF THE HOUSE, by Hilary M. Schor. This one probably appeals only to lit-geeks, because it explores the role of the daughter in Dickens novels. However, because I *am* a lit-geek, it’s made the short list. 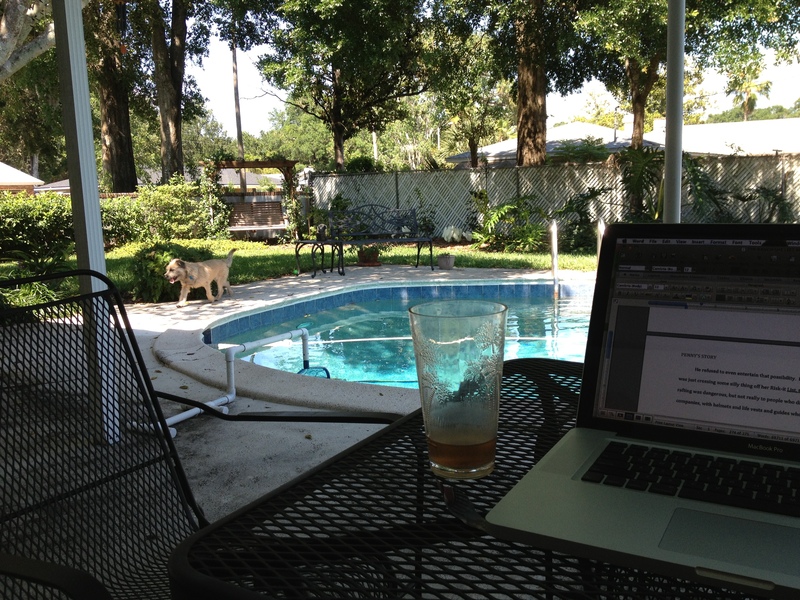 Or, I could just go out on the back porch and watch my son’s puppy play in the yard while I get started on my next book. We’re puppy-sitting for a few days, and the little rascal provided a wonderful excuse to write outside as I polished the last few chapters. I love my office setup, but there’s nothing like birdsong and sunshine to provide the inspiration a romance writer needs! What about you? When you finish a long and difficult task, what do you do to celebrate? I have been doing more writing than reading this week. When my deadline is closing in, I have to protect the real estate inside my head, and prevent other stories from moving in, taking over the neighborhood! So this week I’m going to mention a few writing craft books I have pulled off the shelves and stacked beside me on the desk. These are all books I have found so enlightening, entertaining or inspiring that just having them nearby helps, even if I don’t open them even once! 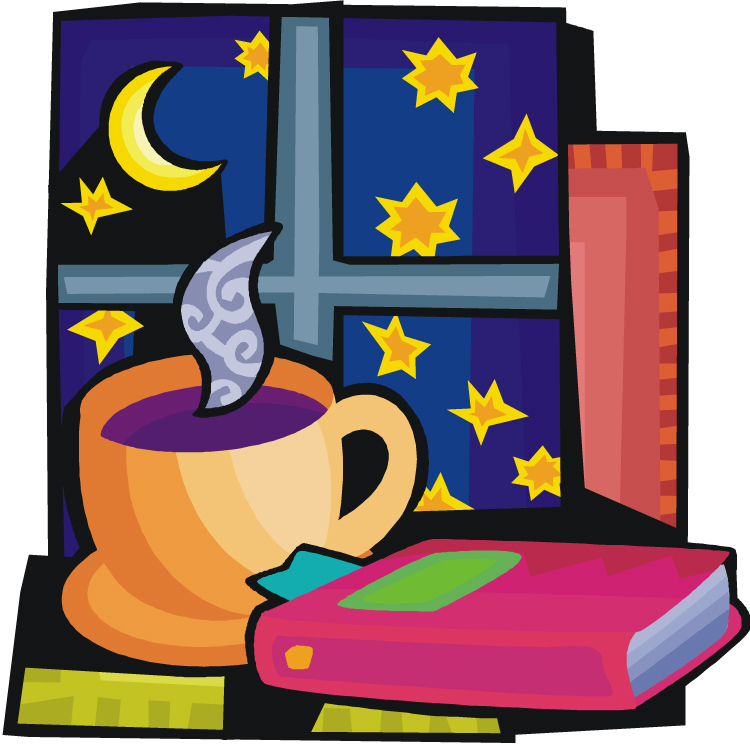 Self-Editing for Fiction Writers, by Renni Browne and Dave King. Why it stands out: It’s great all around. Every page makes sense. But here’s what it does that I haven’t seen done as well anywhere else: It compares good writing with BETTER writing. Most how-to books will show you a badly written paragraph, then show you how to make it better. But I suspect that most of us look at the “bad” paragraph, instinctively believe that we wouldn’t ever have made that mistake in the first place, and therefore don’t pay much attention to how to “fix” it. In Browne and King’s book, they show you work that’s already pretty well written, the kind of stuff you DO believe you might have created. And then they show you how it can be made even better! It’s impressive, and it’s full of those ah-ha! lightbulb moments. Roget’s Thesaurus. Why it stands out: It won’t, unless you get one of the old-school versions. The newer ones may be more user-friendly, but they just don’t have enough cool words. 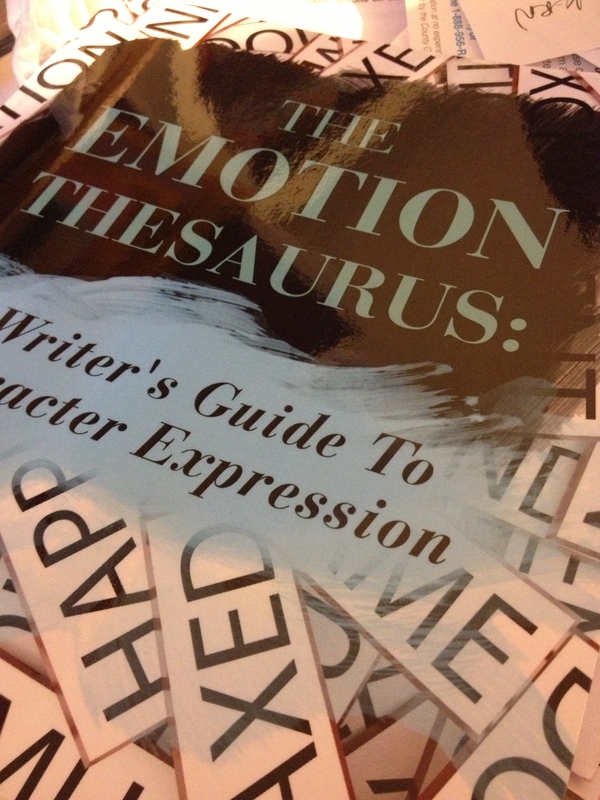 The Emotion Thesaurus, by Angela Ackerman and Bella Puglisi. Why it stands out: Also excellent for unsticking. This isn’t just an abstract, theory-of-writing book. Though I think those are marvelous in their moment, “their moment” isn’t the eleventh hour of a deadline! These are my favorites…the ones I wouldn’t have the nerve to write without. How about you? Have you found some great how-to books along the way? I’m always on the lookout for new gems!